BRITISH SAWREX COMMEMORATION CRYSTAL VASE GR 1937 ? 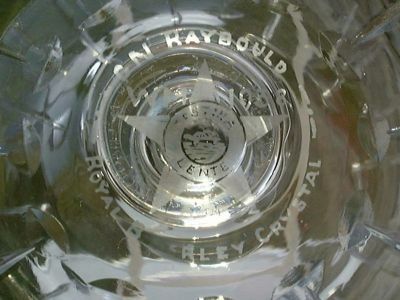 Topic: BRITISH SAWREX COMMEMORATION CRYSTAL VASE GR 1937 ? Can anyone please give me any info on this Lovely cut crystal glass vase it has the GR for George and 1937 cut into the vase but not easy to photo so have shown a reverse pic also .measures 6" or 15cm high by nearly 4" or 10cm at the widest point and weighs aprox 600g.Wonderfull Quality thick glass with lovely cut detail but alas the pics dont do it justice ! It has a long clear ring when struck like a tuning fork ! acid etched mark to the base British Sawrex.I have bought and sold glass for many years but i have never heard of this works but i see theres a piece on ebay. 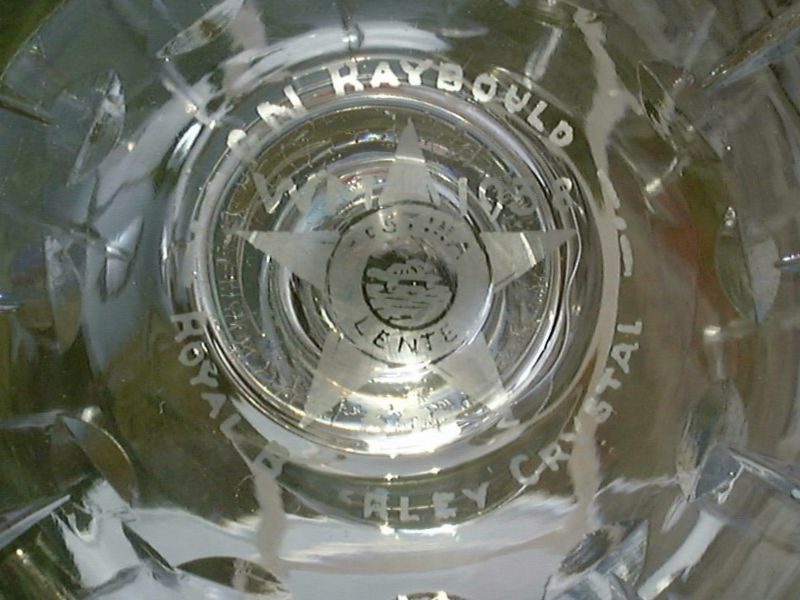 Re: BRITISH SAWREX COMMEMORATION CRYSTAL VASE GR 1937 ? P.S..........sorry, overlooked the fact that you had already stated 'Commemorative'. Perhaps this should be moved to British Glass. Just today in north wales i saw a vase marked as this one i was tempted it had quality too it interested to know if wrex is the manufacturer also!!!! I've just had a conversation with TNA at Kew - and surprisingly they appear not to have any information or links to names like British Sawrex or Sawrex Glass - rather disappointing. So rather stumped for the time being, but will persist if I can think of a different angle. If you Google, you get something called - The Sawrex Glass Marketing Co., Ltd., although now dissolved, but whether they had connections with, or were one and the same as British Sawrex, I don't know. I've only just looked at this as I'm rather wary of topics with titles in all capitals. Anyway it's OK, or, perhaps I should have said, ok. I'm 100% certain who made this vase, because it tells you. Suppose you want to call a range "Rex", a popular brand name during the mid 20th century. You can't call it just "Rex" on its own, as it might get confused with PYREX, and Jobling's directors and senior management might get rather upset, quite justifiably. So you do a portmanteau job on it with something else quite different to "PY". How about, for example, combining it with your company initials? There's another Sawrex piece on eBay currently, useful for comparison?